With this new Jolly Old Saint Nicholas ukulele tutorial, we get to learn another merry Christmas song which we can add to our list of ukulele Christmas carols. If you missed the Jingle Bells easy ukulele tutorial, check it out here. You will need only four chords for Jolly Old St Nicholas ukulele tutorial – C, Am, F and G7. First, Jenny does a sing and strum version following a down, down-up, down, down-up pattern. Also, she demonstrates how to do fingerpick the melody. To show how both strumming methods can be done, the two versions have been combined in a fun split-screen halfway through the video. Jenny will conduct a Facebook Live session on Saturday, November 17 to discuss how to play Jolly Old Saint Nicholas on the ukulele. Particularly, she’ll show how to fingerpick the chord melody. So join us on Facebook as Jenny will post the sheet music there as well as the time for the live session. While participating on the live session is best, don’t worry if you miss it as a recording of the session will be saved on the videos section. In case you want to subscribe and get copies of music sheets every week, join us here. Or let us know on our contact us page if you need sheet music for songs in our video tutorials. 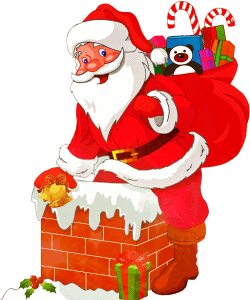 Jolly Old Saint Nicholas is a classic holiday song with origins that date back from the late 1860’s. Emily Huntington Miller wrote a poem she called Lilly’s Secret in 1865 from which the lyrics of the song were based. The Little Corporal Magazine published the poem in December of that year. Miller was an editor of the magazine. Although the song’s words have also been attributed to Benjamin Russell Hanby, music historians found through research that Miller was the actual writer. There had been changes to some text of the song through the years. But this three-verse Christmas song retained its popularity and became a favorite of kids and adults alike. 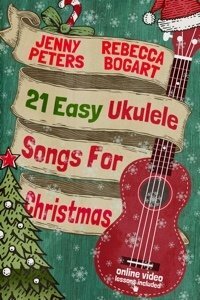 Consequently, our best-selling Christmas book 21 Easy Ukulele Songs for Christmas features Jolly Old St Nicholas, Jingle Bells, Silent Night and many others. As with old traditional songs, there’s also some uncertainty about the origin of the sheet music of Jolly Old Saint Nicholas. But the earliest published sheet music of the song which was in 1874 on the “School Chimes: A New School Music Book” was ascribed to James Ramsey Murray. John Piersol McCaskey also released a sheet music in 1881. Though he cited the sheet music to the earlier published work by Murray in “School Chimes”. With Jolly Old Saint Nicholas, we wish you all that is merry and bright for the holidays!